SAN JOSE, Calif. -- Santa Clara Superior Court has reached a tentative labor agreement with a union representing about 400 workers following an eight-day strike that has significantly cut back court services, court officials announced today. 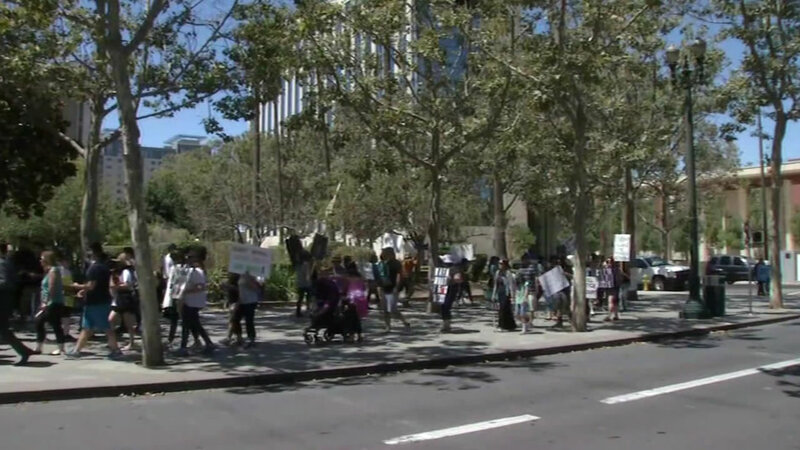 The Santa Clara County Superior Court Professional Employees Association entered mediation with the court on Wednesday and reached a tentative contract agreement this afternoon. The union had vowed to continue its strike until an agreement was reached. "We are pleased to announce that the parties have come together to reach an agreement," court officials said in a statement. "We understand that the SCPEA bargaining team is recommending ratification of this agreement to its membership, and it will be voted on over the weekend. If ratified, we expect our employees will return to work on Monday and normal court operations will resume." In June, the court gave the union its "last, best and final" offer that gave workers a 4.5 percent net increase but no raise in the second year. The union's members have gone without a pay increase for eight years and were uncertain of when they'd receive another raise if they moved forward with the court's proposal, according to union President Ingrid Stewart. During the strike, the court has continued to operate its 11 facilities throughout the county on a limited basis.